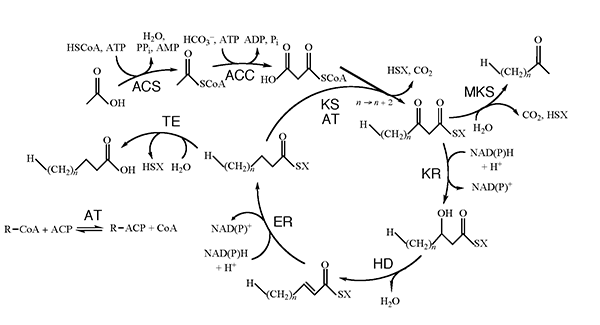 ThYme (the Thioester-active enzYme database) presents enzymes involved in fatty acid and polyketide synthesis, as well as other enzymes acting on thioester-containing substrates. They are classified into families by amino acid sequence and three-dimensional structure similarity. This continuously-updated database includes almost all known sequences and three-dimensional structures of the related enzyme groups. The purpose of this database is to provide the scientific community with a useful source of information on these enzymes that can help predict active sites, catalytic residues, and mechanisms of individual sequences, as well as providing a standardized nomenclature. For more information and definitions, refer to the "What is ThYme?" section.